Managing Director’s Message | Wedge Holdings CO., LTD. Thank you for visiting the webpage of Wedge Holdings Co., Ltd. We are very grateful for the strong supports and helps given to us every day. As we mark the 12th period, I was officially appointed the Representative Managing Director effective from 1st October 2013. Until now, I have been involved in the business operations as Representative Director and Chairman, but from now onwards, I will do my best to further accelerate the current business policies. Our core businesses consist of Finance Business and Entertainment Business which has entered a massive growth period. At the same time, we have succeeded in diversifying businesses and dispersion of risk with the acquisition of various profitable businesses. My role here is to bring up the finance business to become the largest micro-finance business in Southeast Asia and to expand with our competence such as card game creations and more in entertainment business throughout Asia. I will achieve the growth of our company group including our consolidated subsidiaries, equity method affiliates and other related companies with continuous and bold challenges. Other than that, I will aim for the growth of net profits and long term expansion of net assets by taking drastic measures and not to be constrained by precedents and existing stereotypes. 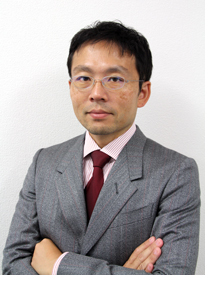 It has just started that our former Managing Director, Mr.Tashiro, resides and works in Southeast Asia with the goal to expand our businesses. On the day I was appointed, I conveyed the message “play more at work” and “I want you all to add a little something interesting with the work in front of you when you are sitting down” to all of our staffs. From now onwards, I myself shall repeat bold challenges and strive hard to contribute to all our customers, investors and business partners. We will continue to create challenges that exceed the imagination of everyone in the future.